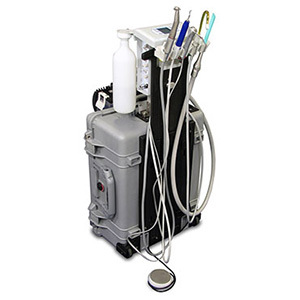 Aseptico is portable dentistry equipment ideal for use for domiciliary, military, humanitarian and normally inaccessible environments. 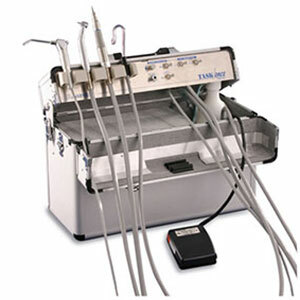 The Aseptico range allows you to have a fully working operative dental surgery in just 20 minutes! These products have been specifically designed to suit the needs of a dentist on the move and, due to their durable and portable nature, prove to be a valuable asset. The Aseptico kit can be opened, put together and ready to use with your patient in a matter of minutes. The casing of each piece of equipment is hard wearing and has been designed so that the user can carry each item with ease. These high quality products cater for all dental needs. People involved in portable dentistry praise this chair. Lightweight but very sturdy. Comfortable and safe for up to 226kg (500lbs). High strength steel construction. Back adjusts, with patient in chair, from full upright to supine position. Adjustable seat height from 20cm to 56cm (8” to 22”). Can be used as standard sit-up chair. 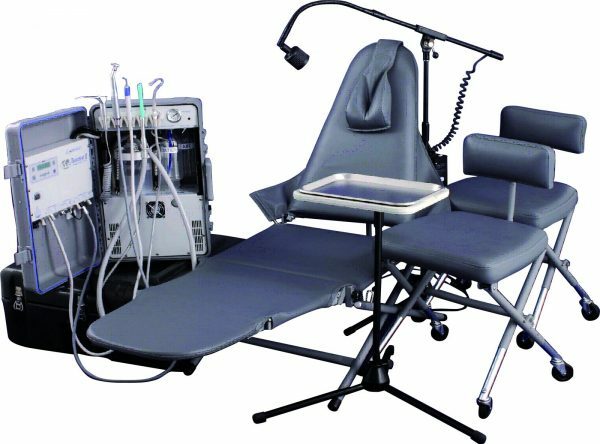 The Pediatric Dental Chair is said to be the ideal platform for examining and treating children in public health and school-based environments. Weighs only 13.5kg (30 lbs) and accommodates patients up to 226kg (500 lbs). Compact, one-piece design sets up/folds down in seconds, with no loose pieces. 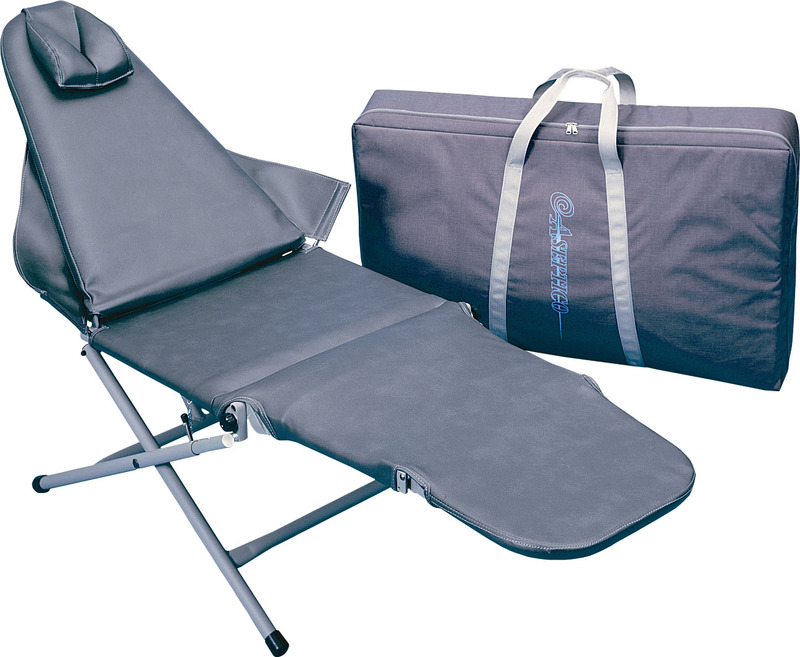 Shorter backrest may be adjusted from vertical to supine for improved access and patient comfort. 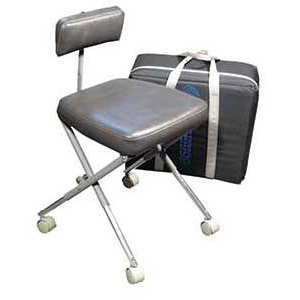 The toe board may be folded down, converting the chair into a standard exam chair. 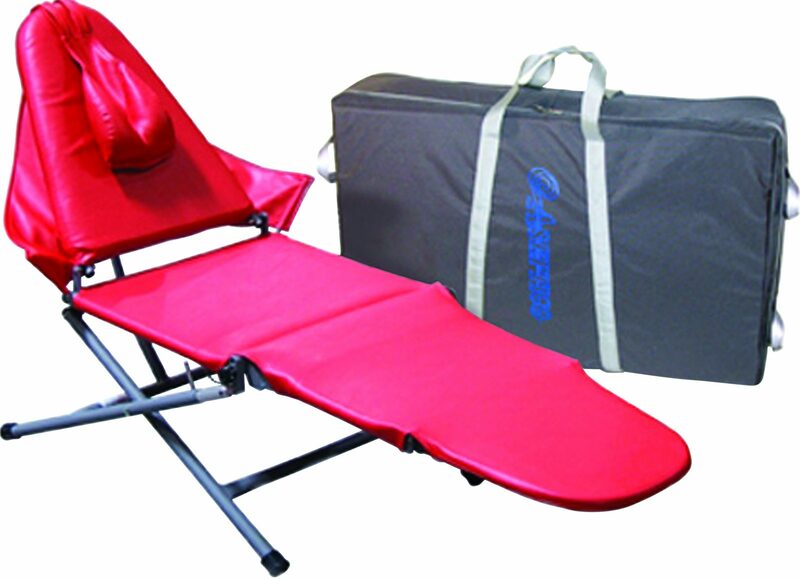 Durable, red upholstery is appealing to patients and easy to keep clean. Portable stool that goes well with the AseptiChair. The stool folds neatly and easily into an easy-to-manage carrying case. 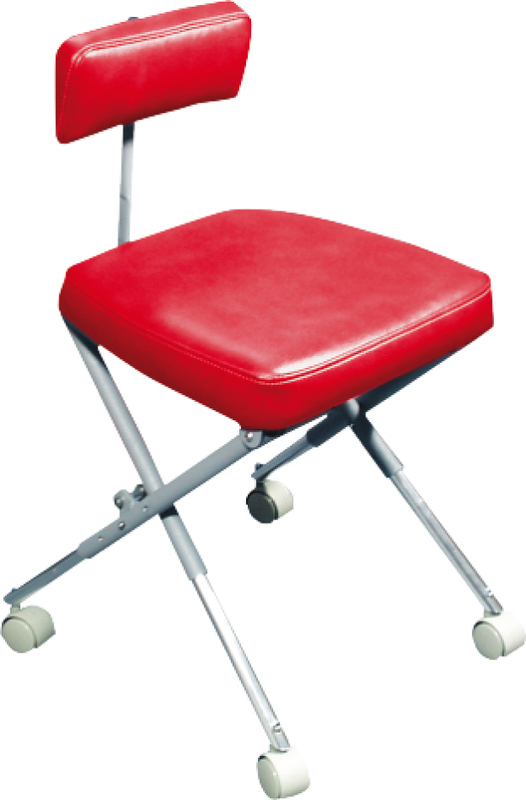 Stool features include padded back and seat for user comfort, casters and adjustable height. 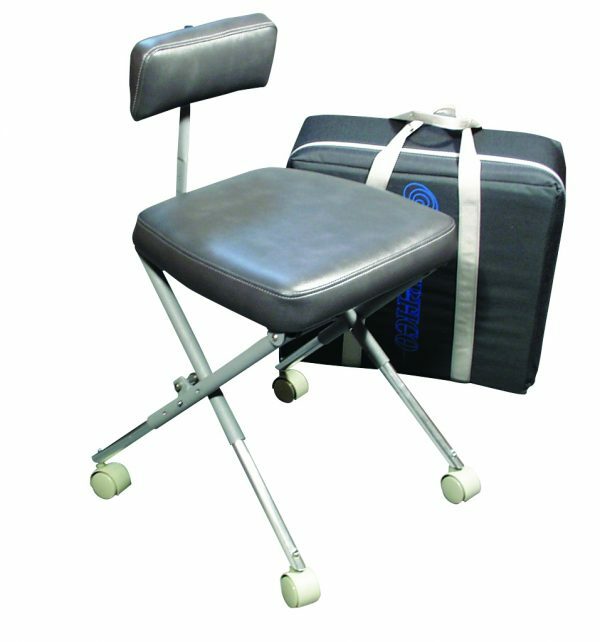 Portable stool to go with Paediatric AseptiChair. It folds neatly into a carrying case. 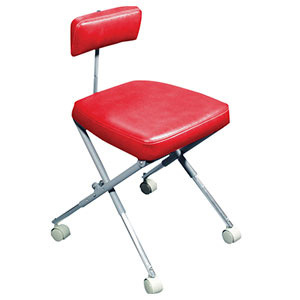 Features include padded back and seat, casters and adjustable height. 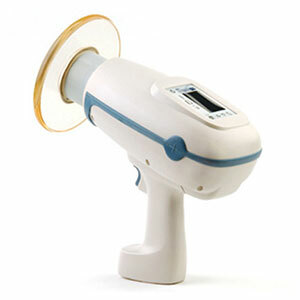 The adjustable beam diameter and light intensity control make this light a very popular choice for both medical and dental examinations. The light has a 900-1000 FT candle halogen bulb at a height of 61cm (2 feet). 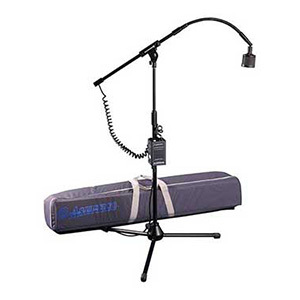 Features a highly adjustable stand with gooseneck. Available in both 120V or 220V. Comes with carrying case and spare bulb. 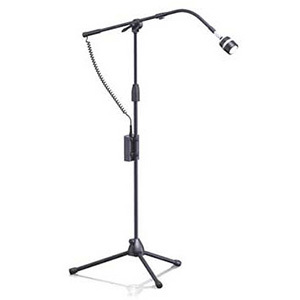 A lightweight moulded plastic head on a universal and highly adjustable stand. Full control over light intensity. 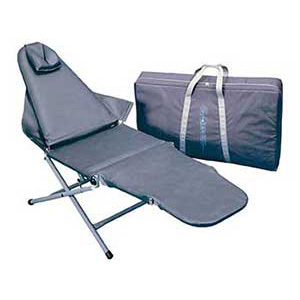 Whole product folds neatly into a 23cm x 114cm x 14cm (9” x 45” x 5-1/2”) carrying case. 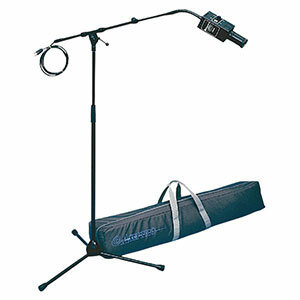 Uses a long life halogen bulb that provides 1000-1100 FT candle at a height of 61cm (2 feet). Available in both 120V or 220V. Includes a spare bulb. An adjustable high intensity LED light with seven beam diameters. Has a replaceable protective lens cover and an amber filter for working with composites. Uses durable LED bulbs which can last a lifetime. Bulb produces 16,145 LUX @ 61cm (1,500 FC @ 24”) worth of light. Uses a universal voltage input (12-24 VDC). Easily transported with pull-out handle and wheels. Lightweight – approx. 23kg (50 lbs). 110V or 220V systems available. 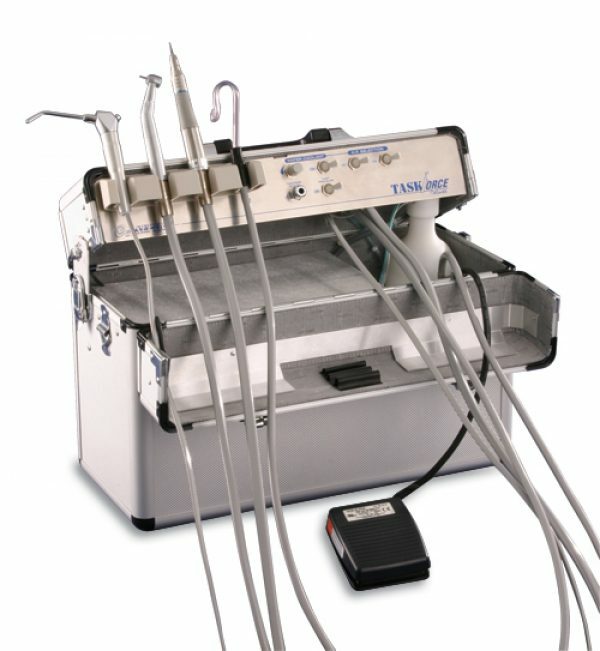 Optional piezo ultrasonic scaler. 3-way syringe. Autoclavable 30k motor. Accepts all E-Type handpieces. High and low volume evacuation. Self contained water supply, self contained air compressor. On/Off foot switch. Portable dental equipment perfect for portable dentistry. 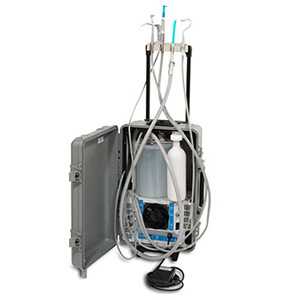 Pneumatic Handpiece control, 3-way air/water syringe, HVE and saliva ejector with vacuum hoses, valves, tips and a built-in compressor. 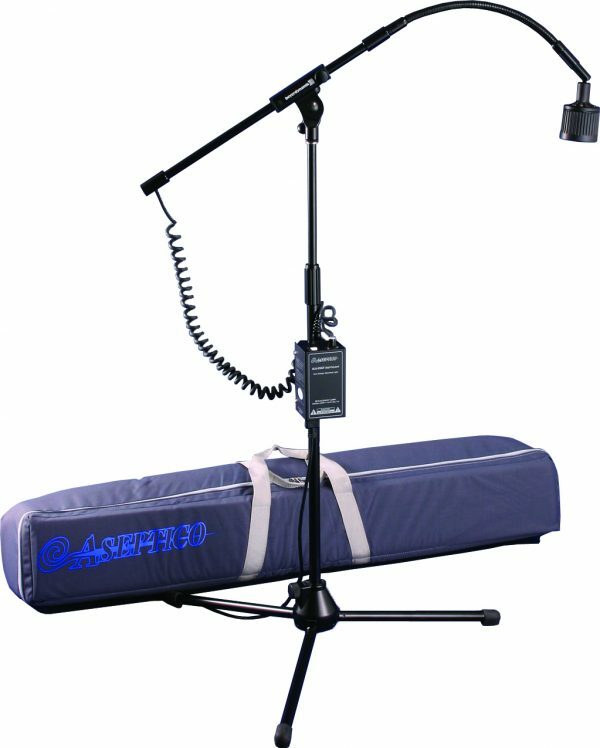 Convenient instrument holder – attaches to case handle. 1 litre water supply reservoir with a 4.1 litre waste container with automatic overflow shutoff. Suction can be activated via the included AE-7P footswitch or manually switched to run continuously. Housed in an impact resistant case. Portable dental equipment perfect for portable dentistry. 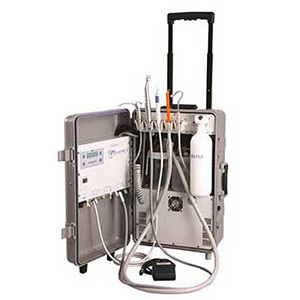 Pneumatic handpiece control, 3-way air/water syringe, HVE and saliva ejector with vacuum hoses, valves, tips and a1/3hp oil free compressor/vacuum. Convenient instrument holder – attaches to case handle. 1 litre water supply reservoir with a 4.1 litre waste container with automatic overflow shutoff. Suction can be activated via the included AE-7P footswitch or manually switched to run continuously. Housed in an impact resistant case. The Taskforce Deluxe adds a cavitron connection and improved handpiece controls to the popular Taskforce system. Dual handpiece control – High and low speed. 3-way air-water syringe. Powerful saliva ejector suction. Internal high-power oil-less air compressor provides over 32 psi to handpieces. 1 litre water reservoir. 950ml waste container. 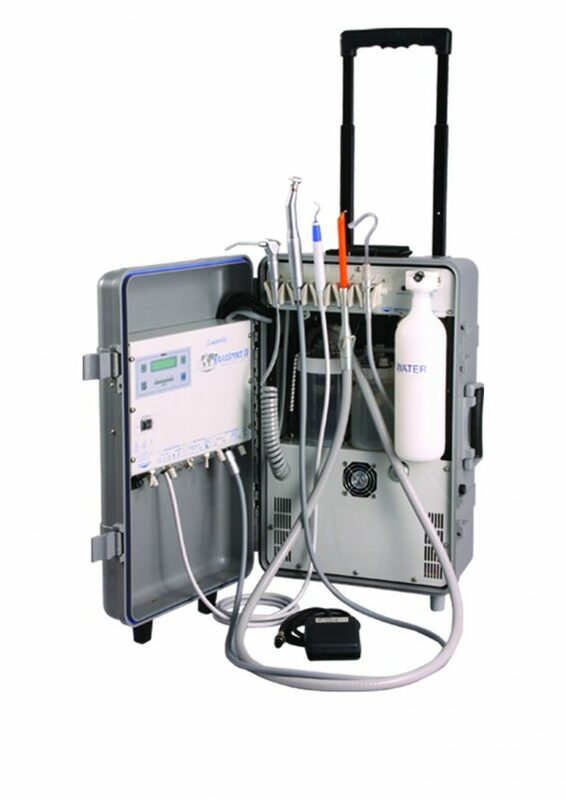 All system components pack into the rugged aluminium carrying case for easy transport. Dual voltage switch (110V and 220V). Now true portability in x-ray technology! The Nomad offers cordless hand-held operation, running on rechargeable battery packs which allow for more than 100 exposures on one battery charge. Perfect for humanitarian and voluntary work or to conveniently move from station to station in a clinical setting. 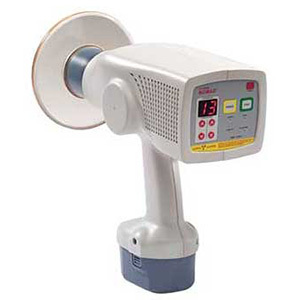 High-frequency, constant-potential x-ray generator provides constant radiation output, reducing skin dose to the patient relative to traditional half-wave (AC) generators. Fixed high voltage (60kV) and Current (2.3mA) – the only operator input is the exposure time. 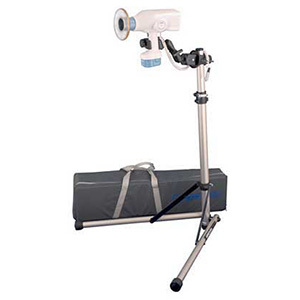 Weighs less than 4kg (9lb) and provides complete flexibility and convenience. Compatible with both film and digital imaging systems. External backscatter shield and internal radiation shielding protects the operator from radiation exposure. The Nomad Pro offers cordless hand-held operation, running on rechargeable battery packs which offer more than 100 exposures. 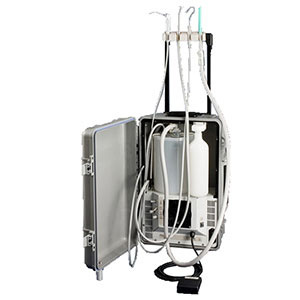 Optimal for remote use, the Nomad Pro is contained in an easily transportable case with pull-out handle and wheels. 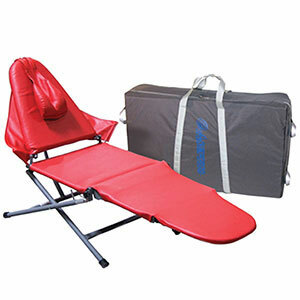 Perfect for humanitarian and voluntary work or to conveniently move from station to station in a clinical setting. Ideal for portable and forensic dentistry. 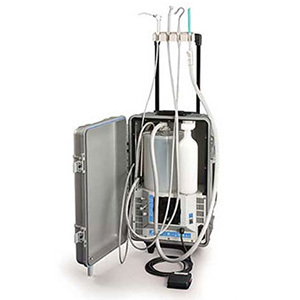 Hand-held unit is designed for operator safety and patient acceptance. Backscatter guard and internal shielding protect user.